Good Evening and I hope that you all had a wonderful Christmas! 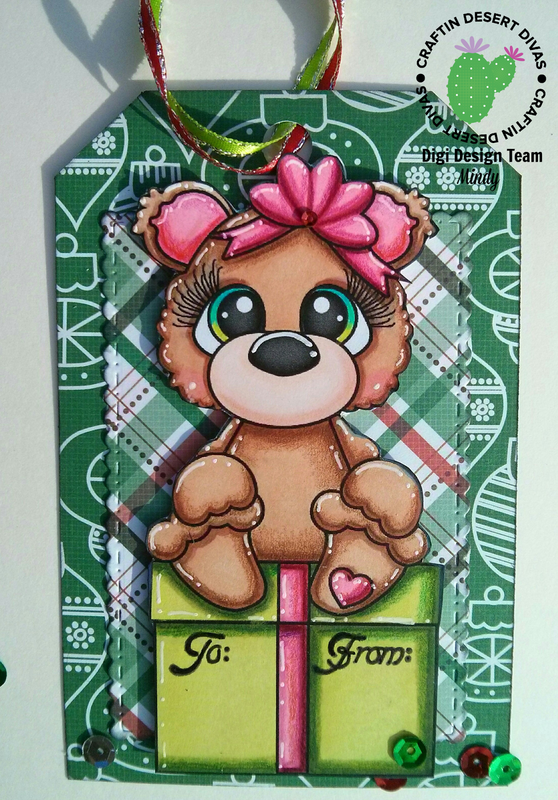 Today I want to share with you a Christmas Bear Gift Tag that I made! I used the Super Sweet Digital Stamp from Craftin Desert Diva's called Little Lovelies Bear with Present that you can find here: http://craftindesertdivas.com/little-lovelies-bear-with-present-digital-stamp/. I also used the Fancy Frames Dies from CDD that you can find here: http://craftindesertdivas.com/fancy-frame-dies/. To create my gift tag first I just selected a basic tag base from the Cricut Design Space Library. I then uploaded the digial stamp, and then sized my image to fit my tag perfectly. Once I was happy with my design, I then used the print then cut feature to cut out the digi stamp. Next I cut out the tag base from patterned card stock. For the mat behind the digi stamp I used the Fancy Frames Dies and my Big Shot, and cut the mat from patterned card stock. Once I had everything cut out, I then inked all of the paper edges to add extra dimension. Next I colored the digital stamp with Copics and Prismacolor Premier Pencils. After I was finished coloring my image, I then assembled all of the layers, and used foam tape to attach the digital stamp to add some depth. To finish I added ribbon to the top of the tag, and then added sequins for some extra sparkle. Thank you so much for stopping by. I hope that you had a fantastic Christmas, and I also wish you a very Happy New Year! Happy Tuesday! 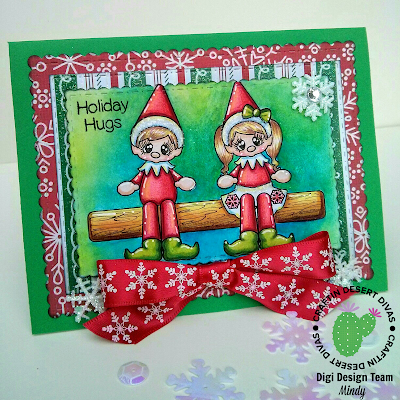 Today I want to share with you a Elf Holiday Hugs Card that I made! To create my card I used this week's Adorable Freebie Digi stamp over at Craftin Desert Divas called Christmas Traditional Elves that you can find here: http://craftindesertdivas.com/christmas-traditional-elves-digi-stamp/. 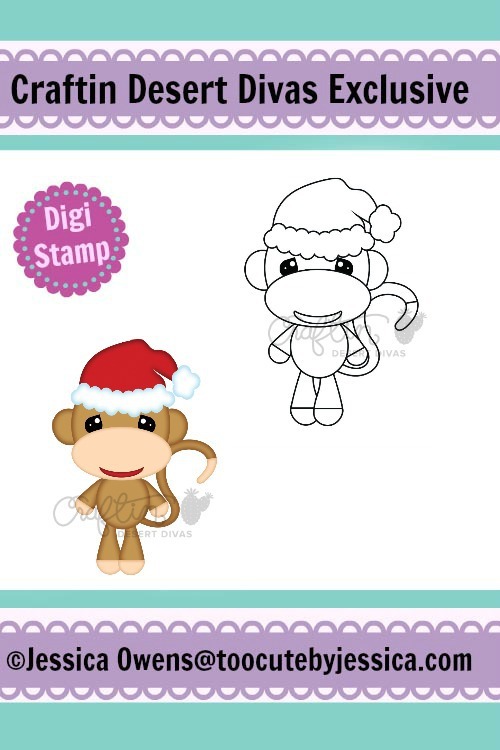 Don't miss out on adding this fun Digi stamp to your collection, because it is available for free only this week. To make my card first I cut out the mats and frames from patterned and plain card stock with the Fancy Frames Dies also from CDD that you can find here: http://craftindesertdivas.com/fancy-frame-dies/ with my Big Shot. I then printed out the digital stamp onto plain card stock and colored in the image with Copics and Prismacolor Premier Pencils. I then used Lukas Artist Grade watercolor paints to paint the background using the wet into wet technique. After my card was dry, I then stamped the sentiment from the Chill Out Stamp Set from CDD that you can find here: http://craftindesertdivas.com/chill-out/. Next I assembled my card and attached the mats and frames, and then attached the digital stamp frame with foam tape for some added dimension. To finish I added ribbon and glitter snowflake charms for accent. Thank you so very much for stopping by, and I hope that you all have a very Happy Holiday Season! Good Morning! 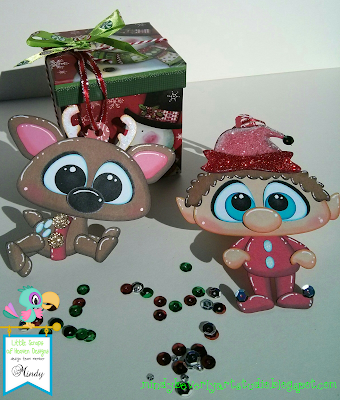 Today I want to share with you some Christmas Tags that I made! I used one of the new patterns just released from Little Scraps of Heaven Designs called Reindeer in Training that you can find here: http://www.littlescrapsofheavendesigns.com/item_1441/Reindeer-in-Training.htm. To create my tags, first I uploaded the pattern into Design Space. Next I deleted the parts of the pattern that I did not want to use for my tags. After that I un-grouped each character and then layered all of the pieces together exactly how I wanted the finished tags to look. I then grouped each character again and duplicated the image. Next I selected the duplicate copy and hit weld to create my tag base. Next I selected a basic tag loop from the Cricut Library and then positioned the loop on each tag base and hit weld again so that my tags would have a place to hang them from. Once I was happy with my design, I then cut out all of the pattern pieces with my Explore in plain and glitter card stock. Next I inked and chalked all of the paper edges to create dimension and shape. After that I assembled everything and attached the character pieces to the tag bases. Next I added sequins, and then tied ribbon to the tops of the tags. To finish I added all of the highlights with a white paint pen. Thank you so much for stopping by and have a fantastic day! Happy Thursday! 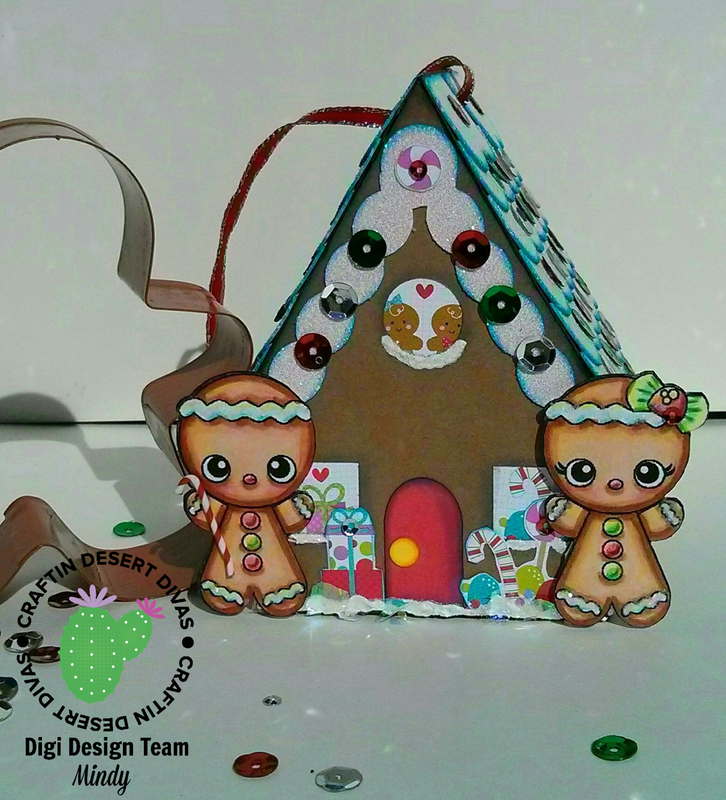 Today I want to share with you a Warm Wishes Gingerbread Card that I made. 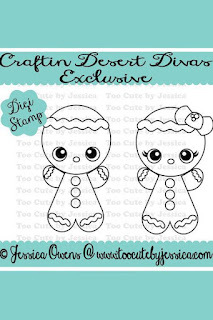 To create my card, I used the Adorable Digital Stamp Rolling Pin Ginger from Craftin Desert Diva's that you can find here: http://craftindesertdivas.com/rolling-pin-ginger-digital-stamp/. This digital stamp is available for free right now, but only for this week. Next week it will be added to the $1.00 section. 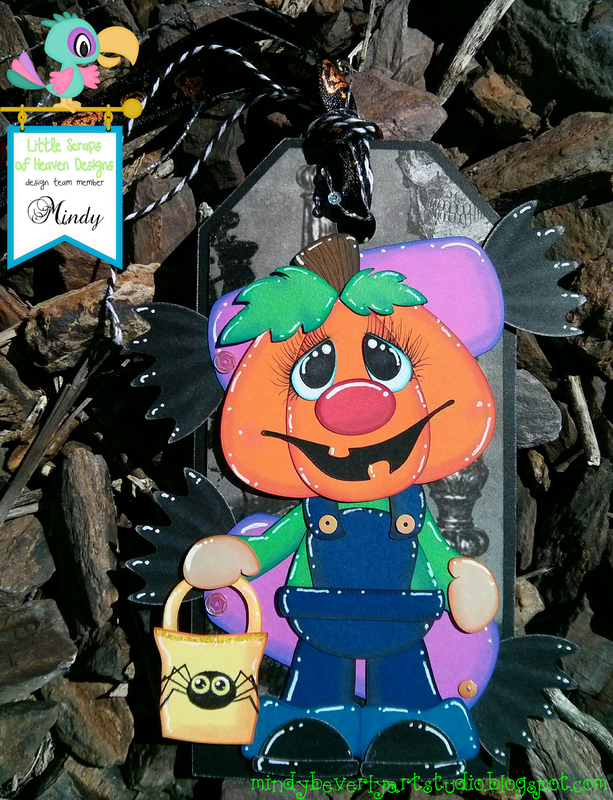 Don't miss out adding this cutie to your collection! To make my card first I sized and then printed the digital stamp out onto plain white card stock. I then used the Fancy Frames Dies also from Craftin Desert Divas to cut out the stamp and the patterned mat behind it. I then inked the edges of both layers with Colorbox Chalk ink to add some dimension. Next I used Copics, Prismacolor Premier Pencils, and Lukas Watercolors to color my image. After I was done coloring my image, and the watercolor background was dry, I then used a Sentiment from the Chill Out stamp set from Craftin Desert Diva's to stamp my sentiment. After that I attached all of the layers to my card base. To finish I added ribbon, sequins, and glitter gingerbread enamel embellishments. Thank you so much for stopping by! Have a Fantastic day! Hello Everyone! Today I want to share with you a Sock Monkey Holiday Card that I made. To make my card first I cut the mats and frames using the Fancy Frames Dies. I then created the card base from basic shapes in Design Space and then uploaded the Digital Stamp and sized it to fit my card. The little stocking I used is a from a pattern from LSHD which I also uploaded and sized to fit my card and the monkey digital stamp. Once I was happy with my design, I cut out all of the pattern pieces from plain, flocked, and glitter card stock. I then inked and chalked all of the paper edges to create dimension and shape. Next I colored the Sock Monkey Digital Stamp with my Copics and Prismacolor Premier Pencils. I then assembled everything and attached the pattern pieces and mats to my card base. To finish I added ribbon, rhinestones, and then stamped my sentiment by masking only the portions that I wanted to use from both stamps onto the small banner piece. Thank you so very much for stopping by and have a fantastic day! 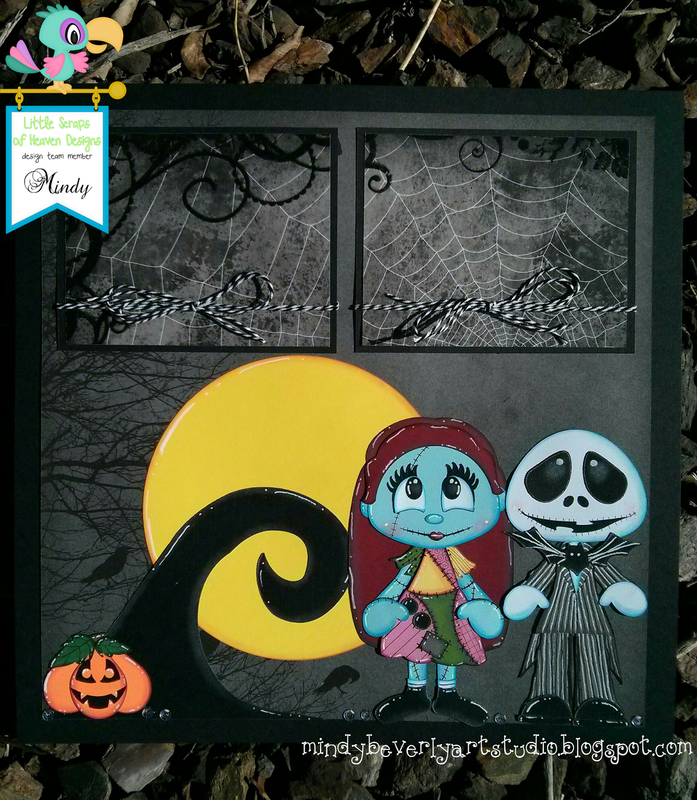 To make my layout first I created the mats and frames from basic shapes in Cricut Design Space. I then uploaded the Peppermint Polar Bears pattern from Little Scraps Of Heaven Designs and sized the images to fit my layout perfectly. Once I was happy with my design I then cut out all of the pattern pieces with my Explore in plain, glitter, and patterned card stock. Next I inked and chalked all of the paper edges to add dimension and shape. I then assembled everything and attached it to my layout. After that I embellished my layout with ribbon, sequins, and rhinestones. To finish I added all of the highlights with a white paint pen. Thank you so much for stopping by and have a great day!! Good Evening Everyone! 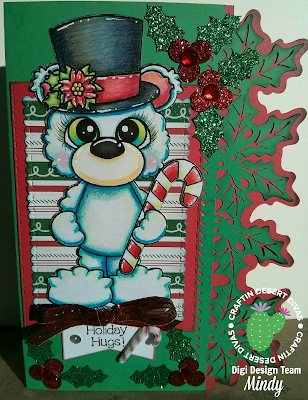 Today I want to share with you a Winter Bear Holiday Card that I made! First to make my card I just selected the card base with holly trim from the Cricut Library in Design Space. I then uploaded the Winter Bear Digital Stamp and sized it to fit my card perfectly. Once I was happy with my design I cut out all the pattern pieces with my Explore from plain card stock, and used the print then cut feature to print and cut out the Winter Bear. Next I colored the Winter Bear image with Prismacolor Premier Pencils and then inked around the edges with black ColorBox Chalk Ink. After that I cut some mats in plain and patterned card stock with my Big Shot and the Fancy Frames Dies. I then stamped my sentiment from the Chill Out Stamp set onto the little banner piece and inked around the edges to create dimension. Next I attached everything to my card base and then added rhinestones, glitter holly, and a tiny candy cane for embellishment. To finish I added the highlights on the Winter Bear with a white paint pen. Thank you so very much for stopping by and have a wonderful evening! Hello Everyone! 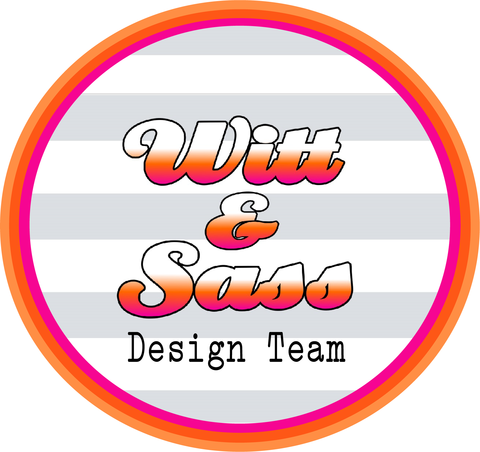 Today I want to share with you my very first Design Team Project for My Besties Meet at the Scrappers Corner Challenge Blog! 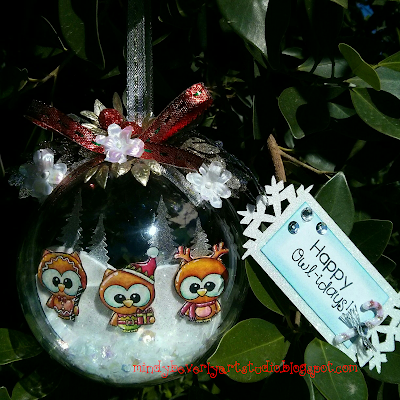 For my Project I created this Adorable My Besties Snow Globe Shaped Card! 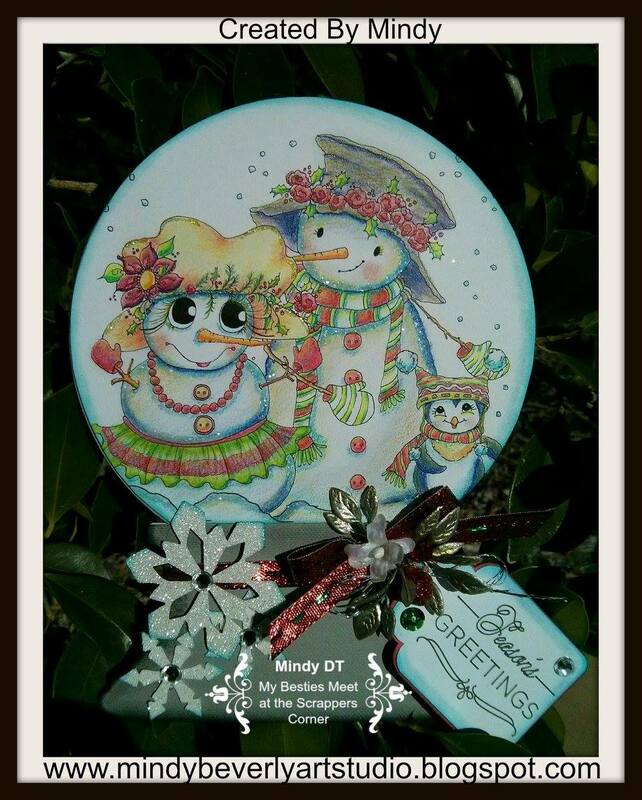 The Super Cute Snowman Image that I used is a Sherri Baldy's My Besties Digital Stamp Image 002 that you can find here: http://www.mybestiesshop.com/store/p2497/img002_digi_stamp_.html. 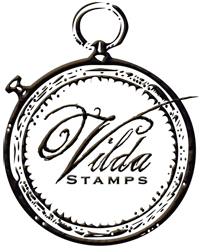 To create my card first I uploaded the Digital Stamp into Design Space. I then found an image of a snow globe in the Cricut Library and sized it to the desired height and width of my card. Next I un-grouped the image and selected just the shadow layer. I then duplicated the image, mirrored it, and then welded the two shadow pieces together to create my shaped card base. 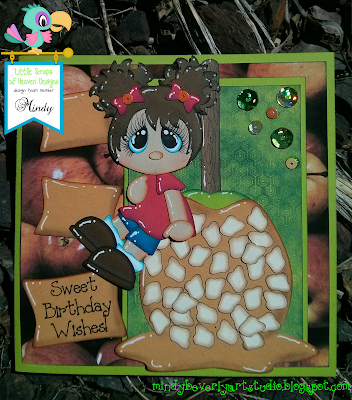 Next I used the pattern fill option to add the digi stamp to the globe portion of my card. Once I was happy with my design I cut out everything in plain card stock with my Explore. We are giving away lots of fun Bestie Prizes as well as this very generous prize package from Sherri Baldy to one lucky person! Hello Everyone! 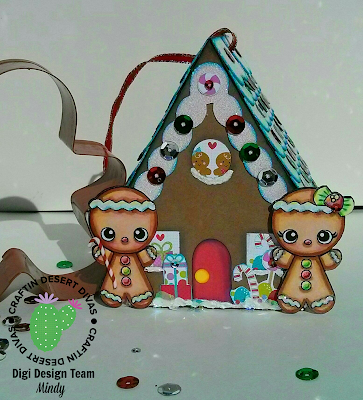 Today I want to share with you a Super Fun Gingerbread House Ornament that I made and my first Design Team post for Craftin Desert Divas Digi Design Team. To Create my project I used the Adorable new Cute Little Ginger Couple Digital Stamp from Craftin Desert Divas that you can find here: http://craftindesertdivas.com/cute-little-ginger-couple-digital-stamp/. I also used the Merry Mix sequins also from Crafting Desert Divas that you can find here: http://craftindesertdivas.com/merry-mix-sequins/. Now for my second special surprise: I am sharing with you the pattern that I created myself in Design Space for Free!!! I do ask that if you use my free pattern, that you become a follower on my blog and leave a comment on this post. This file is for personal use only! If you do end up using my pattern I also ask that you give credit to Mindy Beverly Art Studio. Also please refer anyone wanting this pattern to my blog to download it themselves. 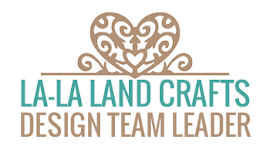 Here is the link to my free Cricut Design Space File: https://us.cricut.com/design/#/canvas/33555955. 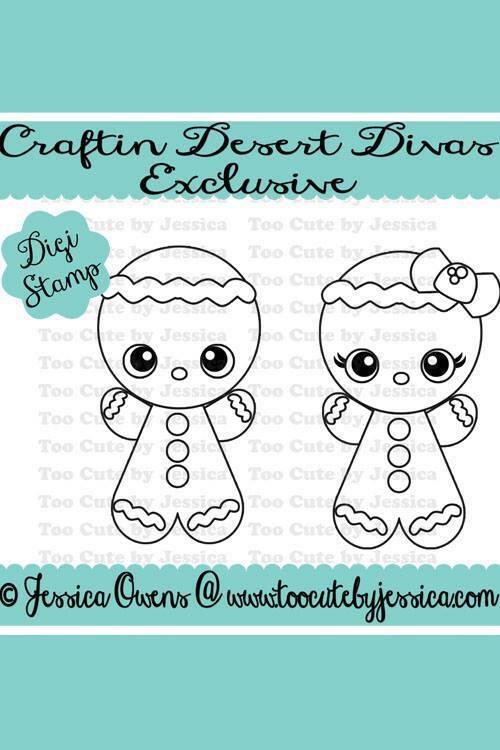 This file is already sized perfectly to fit on a 12x12 mat, and to fit the Craftin Desert Divas Digi Stamps perfectly. Thank you everyone for stopping by today, and for your comments! I love reading each and every one! Have a fantastic day, and I can't wait to share some more amazing projects and files with you soon! Hello Everyone! 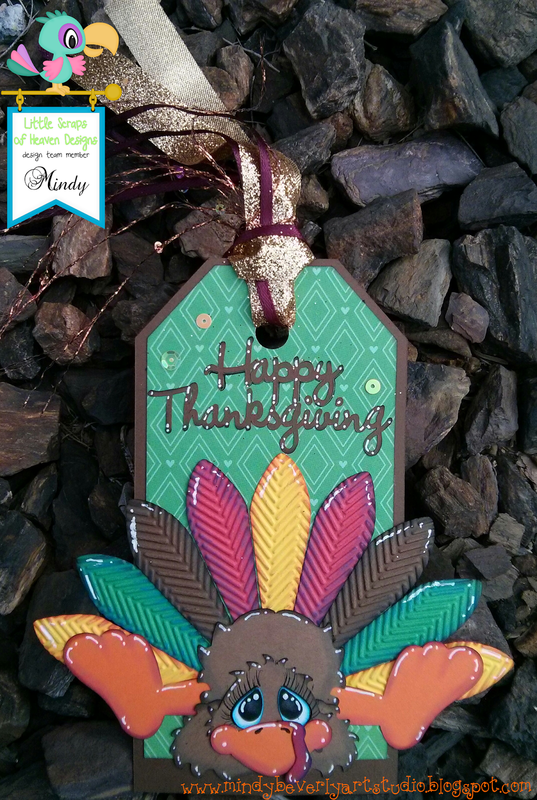 Today I want to share with you a Turkey Thanksgiving Card that I made! 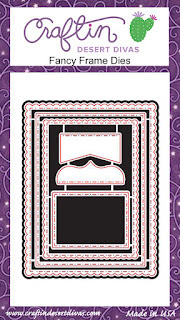 To create my card I used one of the new Thanksgiving Digi Stamps from Craftin Desert Diva's. 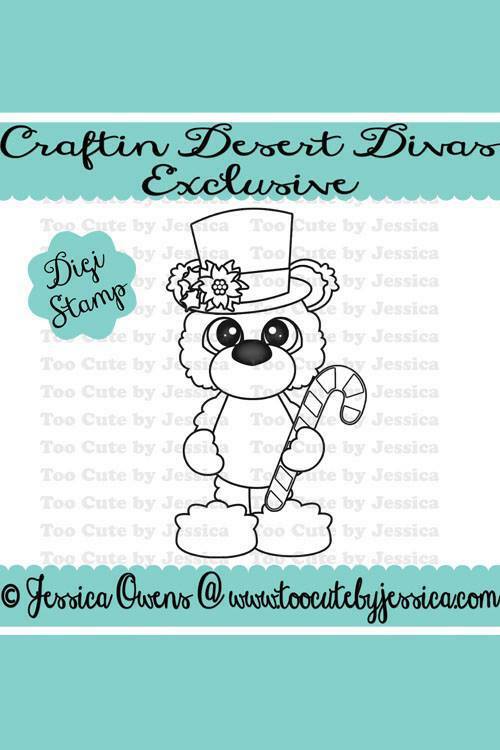 You can find this Adorable Turkey right here: http://craftindesertdivas.com/turkey-with-pie-digital-stamp/. 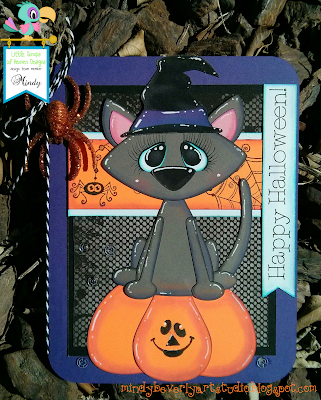 I also used the Autumn Wishes stamp set also from Craftin Desert Diva's that you can find here: http://craftindesertdivas.com/autumn-wishes/. First I created my mats and frames from basic shapes in Design Space. I then uploaded the Turkey Digi stamp and sized him to fit my card perfectly. Once I was happy with my design, I then cut out all of the card pieces with my Explore in plain and patterned card stock. I also used the print then cut feature for the Digi Stamp. This eliminated all of the fussy cutting that I would of had to do before. Next I inked and chalked all of the paper edges to add dimension and shape. I then colored in the Turkey Digi Stamp with Prismacolor Premier Pencils. 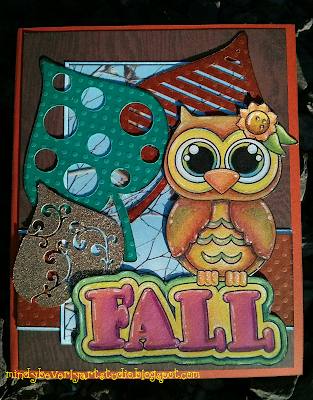 After that I used two of the leaf stamps from the Autumn Wishes stamp set to create my background. To do this I stamped the images with an embossing ink pad. I then sprinkled Gold Embossing Powder over the embossing ink and used a heat gun to set it. After that I used Tim Holtz Distress Inks in: Vintage Photo and Wild Honey to Distress the background on top of the leaves. To finish I assembled everything and attached it to my card base. I then added sequins for some sparkle, and used a white paint pen to add highlights. Thank you so much for stopping by today! Hello Everyone! 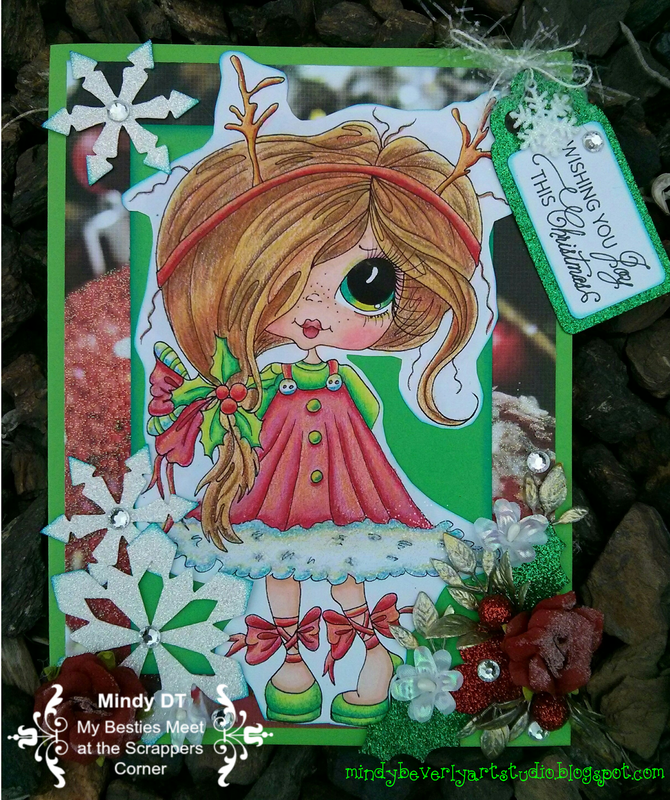 Today I want to share with you a My Besties Reindeer Girl Card that I made! This Beautiful digi stamp that I used is Sherri Baldy's My Besties Image 454 that you can find here: www.etsy.com/listing/208599304/instant-download-digital-digi-stamps?ref=shop_home_active_13. To make my card first I created the mats and frames from basic shapes in Design Space. 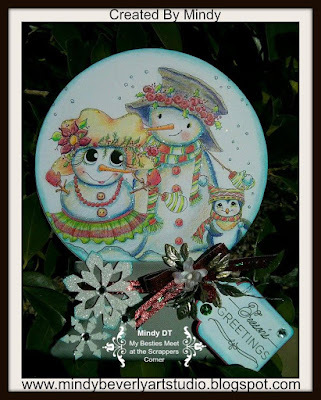 I then uploaded the snowflake pattern from LSHD and sized them to fit my card. Once I was happy with my card base, I cut out everything in plain and patterned card stock with my Explore. Next I sized and then printed the My Besties image onto plain white card stock. I then colored in the image in with Prismacolor Premier Pencils. 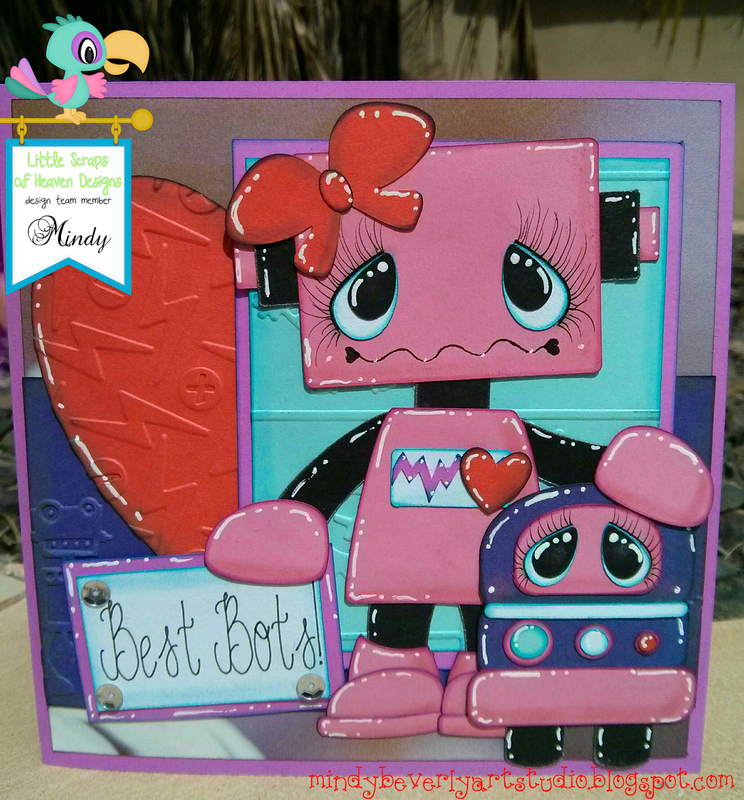 Once I was finished coloring my girl, I then fussy cut around the image and then attached everything to my card base. After that I added paper and fabric flowers as well as rhinestones for extra sparkle and embellishment. 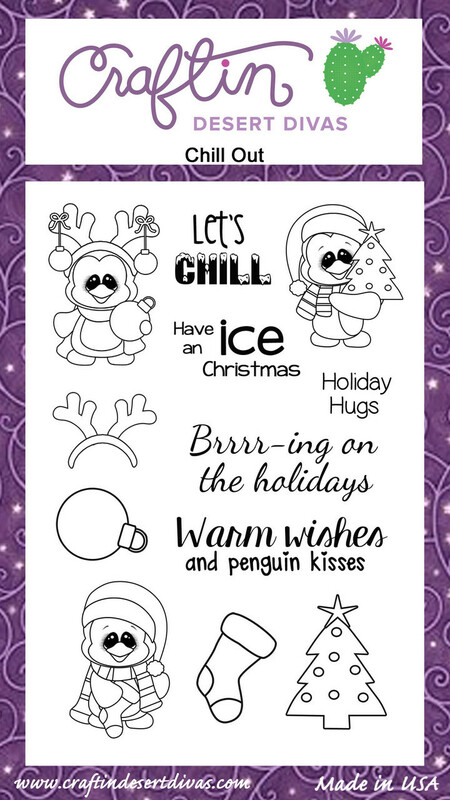 I just love how easy it is to create the perfect holiday card with these amazing Digi Stamps from Sherri Baldy! Good Afternoon Everyone!! Today I want to share with you my finished Besties Zen Girl Card using my colored Zen Girl that I shared with you last week. I used one of Sherri Baldy's new Zen Girl Digital Stamps that you can find here: www.etsy.com/listing/253937952/instant-download-digital-digi-stamps-big?ref=shop_home_active_5&ga_search_query=zen. To make my card first I created the mats and frames in Design Space. 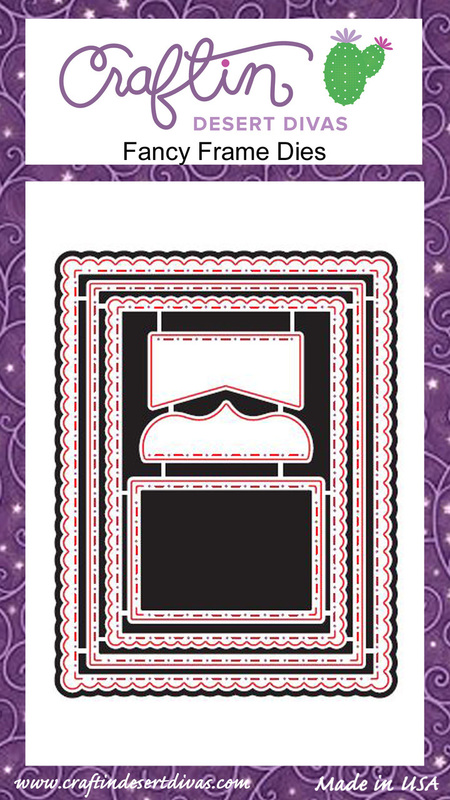 Then I added a flourish from the Cricut library as a border for my card. Once I was happy with my design, I cut out my card base in plain, patterned, and glitter card stock. Next I printed the Besties Zen Girl digital image onto plain white card stock. I then used my Prismacolor Premier Pencils to color the image in. Once I was done I fussy cut out the image and attached all of the elements to my card base. To finish I added paper and fabric flowers as well as rhinestones to accent my card. Sherri Baldy's My Besties International Challenge Blog November Challenge that you can find here: http://bestieschallenge.blogspot.com/2015/11/welcome-to-sherri-baldys-my-besties.html. 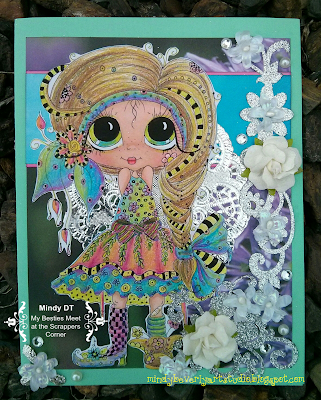 Sherri Baldy's My Besties Aussie Challenge Blog Challenge #11 Layers that you can find here: http://mybestiesaussiechallenge.blogspot.com/2015/11/challenge-11-layers.html. Good Evening Everyone! Tonight I want to share with you a Fall Owl Card that I made! 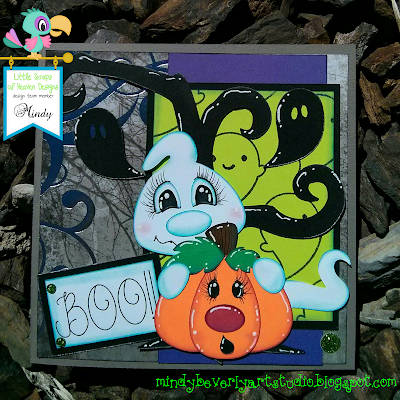 I used this week's Super Cute Fall Owl Digi Stamp freebie from Craftin Desert Diva's. You can find this digi stamp here: http://craftindesertdivas.com/cute-fall-owl-digital-stamp/. 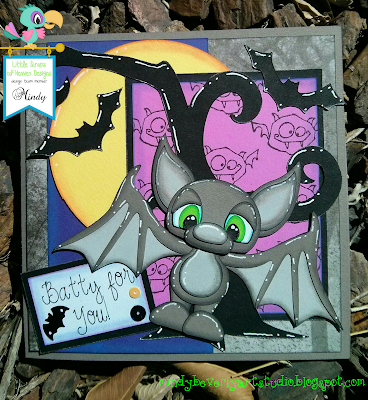 This digi is free for this week only, so don't miss out on adding this cutie to your collection! Good Evening Everyone! 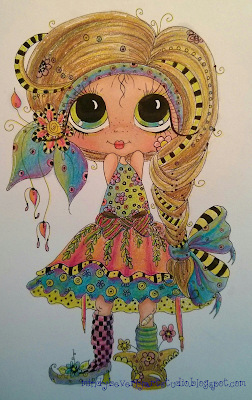 Tonight I want to share with you a My Bestie's Zen Girl that I colored! I used a digi stamp from Sherri Baldy's My Bestie's shop that you can find here: http://www.mybestiesshop.com/store/p2770/My_Besties_Zen_Art_digi_stamp_IMG876.html. Good Afternoon Everyone! 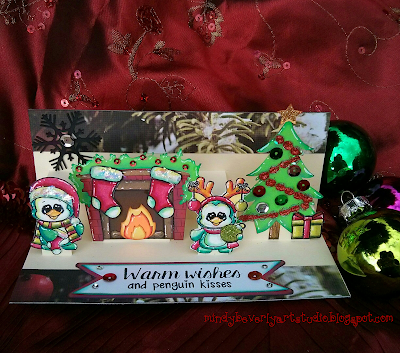 Today I want to share with you a Penguin Kisses Popup Card that I made. 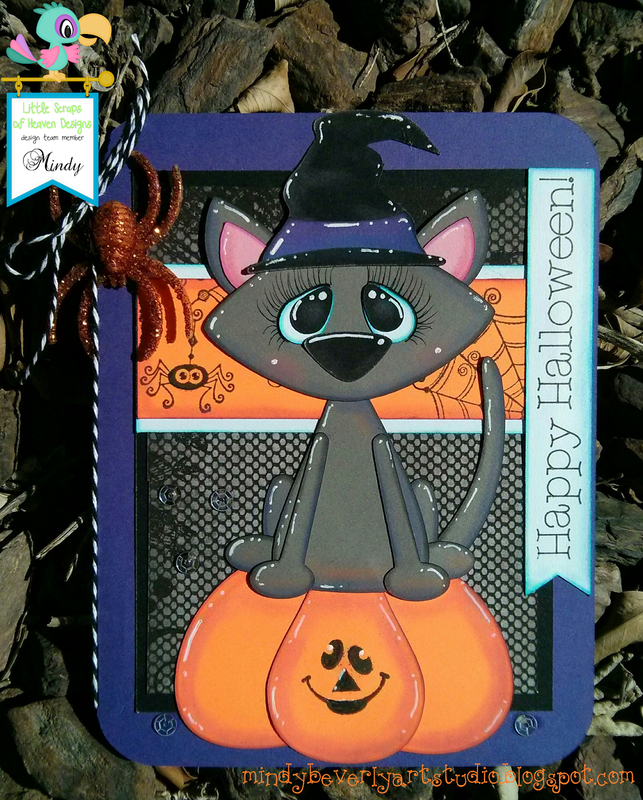 To create my card I used the The Super Cute Chill Out stamp set I purchased from Craftin Desert Diva's. You can find this stamp set here: http://craftindesertdivas.com/chill-out/. 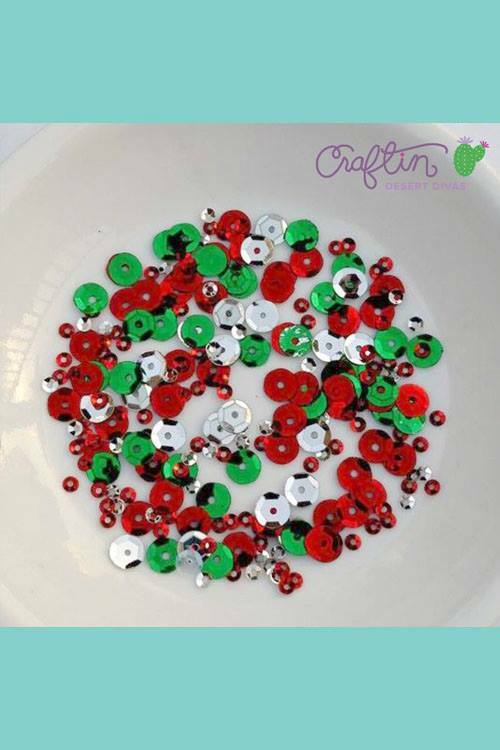 I also used the Merry Mix sequins also from Craftin Desert Diva's. You can find the sequins here: http://craftindesertdivas.com/merry-mix-sequins/. 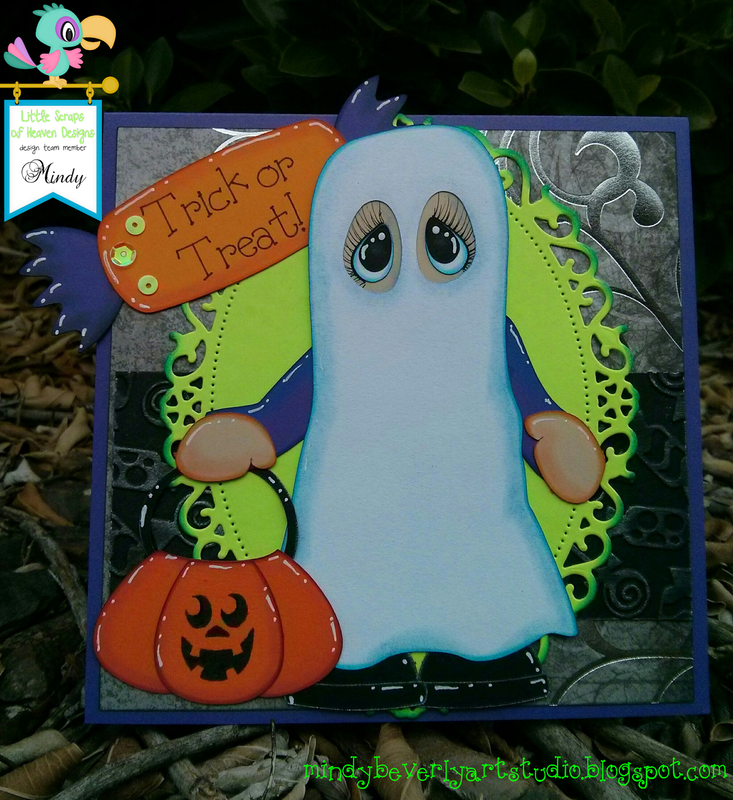 To create my card first I created my Popup card base in Cricut Design Space out of basic shapes. Today I am sharing my file with you for free. If you do end up using my file, I would appreciate you giving credit to Mindy Beverly Art Studio, and also please become a follower of my blog. Here is the link to my Popup card file: https://us.cricut.com/design/#/canvas/33024982. The card base is also already the correct size for the Chill Out Penguins. To Create my card first I opened my Popup card base file in Design Space. I then imported the chimney image from TCBJ and added the tree image from the Cricut library. I sized both of these images to fit the popup tabs on my card. Next I added a tag to fit the Penguin kisses sentiment from the Cricut library as well. 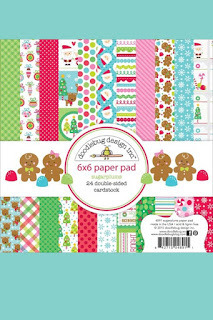 Once I was happy with my design, I used my Explore to cut out all of the pattern pieces in plain and patterned card stock. I then inked and chalked all of the paper edges to add dimension and shape. I then assembled the popup card base, tree, chimney, and sentiment tag and attached them to my card. Next I stamped the penguin images onto Arches 140lb. watercolor paper with Memento black waterproof ink. Once the images were dry, I then used Lukas Professional Grade watercolors to paint each of the images. After they were dry I fussy cut each image out and then added glitter accents and white highlights. Next I stamped my sentiment onto the tag and then added extra chalk around the edges for extra contrast. 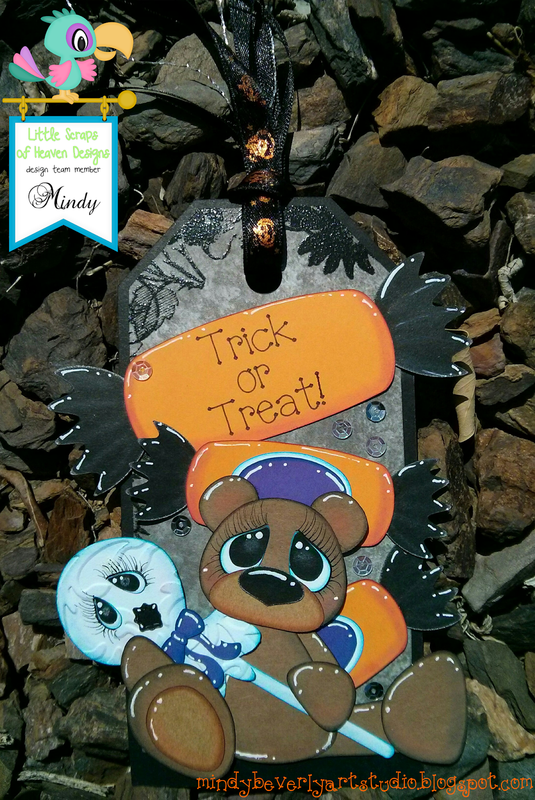 I then attached all of the stamped images to the popup card tabs. To finish I used the merry mix sequins to decorate the tree, chimney, and sentiment. Thank you so very much for stopping by today! 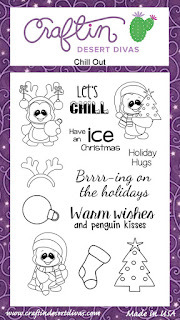 I hope that you enjoyed my card and have fun making your very own! Good Afternoon Everyone! 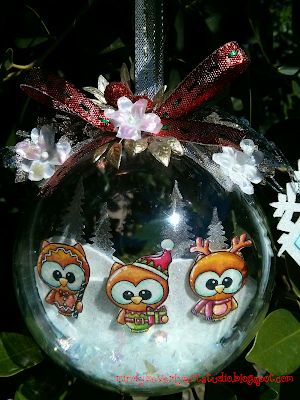 Today I want to share with you a Happy Owl-idays Ornament that I made. I created my ornament with the Owl-idays stamp set from Craftin Desert Diva's which you can find here: http://craftindesertdivas.com/owl-idays/. To make my ornament first I stamped the three owl images onto Arches 140lb. cold press watercolor paper in black waterproof Memento Ink. I then used Lucas professional grade watercolors to paint each of the owls. Once the owls were dry I then fussy cut them out and set them aside. Next I took a 4" plastic ball ornament and split it into it's halves. I then took one side and set it ontop of white glitter foam and traced around the ornament. Next I cut out the circle I just made out from the glitter foam and then sketched with a pencil how I wanted my snow covered hills to look. I then cut out the hills from the foam and hot glued them down into the center of the ornament. Next I used my Cricut Explore to cut out the pine trees from glitter card stock. The tree images were just images from the Cricut Library which I sized to fit my snow covered hills. Once my trees were cut out I glued them to the tops of my hills and then attached my owl stamped images to the hills with foam tape. Next I took fake glitter snow and filled the back and front of the ornament and then sealed the ornament when I was happy with the snow level. I then decorated the top of my ornament with various Christmas sprays and ribbon that I purchased from Micheal's. To finish I selected a snowflake tag in Design Space and sized it to fit my ornament. I then cut the tag out in white glitter card stock and plain card stock. Next I inked around the edges of the tag with Colorbox chalk ink to add dimension. I then stamped the Happy Owl-idays sentiment onto the tag, assembled it, added a few extra embellishments, and then tied it to my ornament. I just loved how my ornament turned out, and what a fun gift these would be to make and give to family and friends for the Holidays! Thank you so very much for stopping by and have a fantastic day! Hello Everyone! 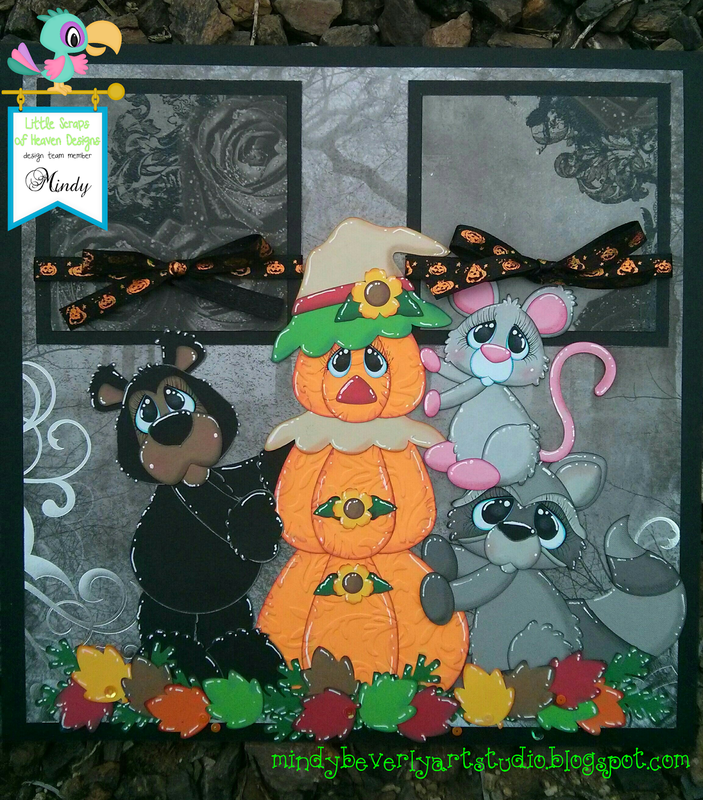 Today I want to share with you a Nightmare Pals Layout and Treat Bag that I created for the Little Scraps Of Heaven Designs Facebook Hop going on today! The Jack-o-Lantern- I used the pumpkin from the file Ghoulishly Grim. I used all the pieces of the pumpkin minus his nose for both the layout and treat bag. The Hill- To create the hill I used the tree from the file Just Hanging Out. 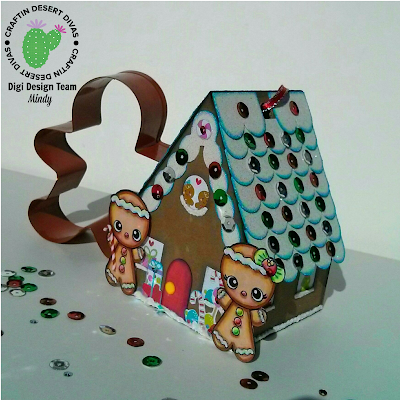 I enlarged the tree and then in Design Space used a square to slice off just the curled portion that was the perfect hill shape. I then deleted the rest of the tree and only kept the hill shape. Rag Doll- For the Rag Doll I took her body, head, arms, legs, hands, eyes, dress, and shoes from the file Emotional Crew. I used the pieces from the Happy Girl image. For her hair I used the Hula girls hair from the file Sweet Paradise. The most complicated part of the Rag Doll was creating her patchwork dress. To do this I made a duplicate copy of the dress in Design Space and then used a circle enlarged to different sizes to slice out the patchwork pieces of her dress. I continued this process of slicing until I was happy with the patchwork look. I then created a small patch on her dress with a square, and the two dots on her dress by sizing a circle to my desired size. Also for the eyes I only kept the black pupil and deleted the colored portion since the Rag Doll has black eyes. Also since the Rag Doll does not have bangs, I used a circle to slice the bangs off of the hair. Skeleton- For the Skeleton body, arms, legs, and shoes I used the Scared Guy image from the file Emotional Crew. 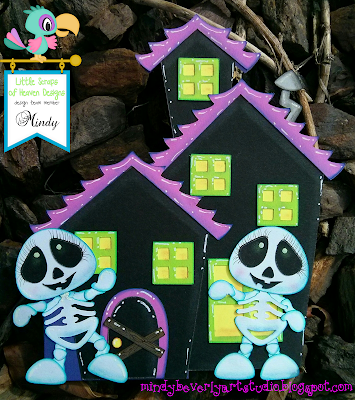 For the Head, Eyes, Mouth, Bat Bow Tie and Hands I used the skeleton and bat images from the file This Spooky House. To start I sized the head to fit with the body. I then made the eyes bigger and flipped them. Next I took the mouth and stretched it out horizontally in Design Space to span the entire head. I also stretched the bat in the same way to resemble the Bat Bow Tie better. For the coat tails on the skeleton jacket I just welded two triangles together and sized them to fit perfectly behind the jacket. Lastly to create the nostrils I just sized a circle to the perfect size and then duplicated it. Moon- For the moon I took the moon image from the file This Spooky House and just sized it larger to fit perfectly with my hill. To create my layout, first I made the mats and frames out of basic shapes in Design Space. I then sized my uploaded and combined Nightmare Pals characters to fit perfectly on my layout. 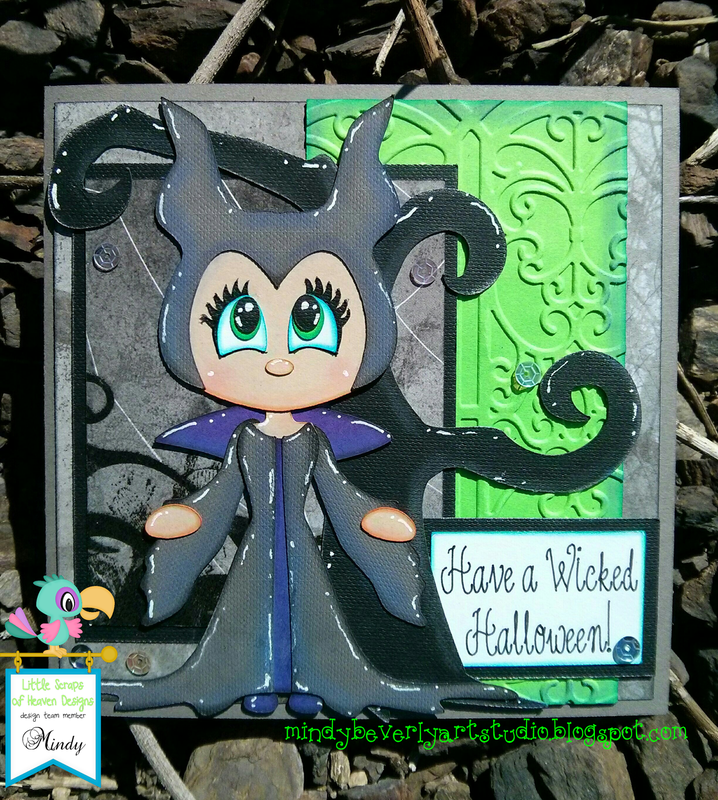 Next I cut out all of the pattern pieces with my Explore in plain and patterned card stock. I then inked and chalked all of the paper edges to create dimension. After that I assembled everything and added all of the stitch marks with a black Micron pen size 02. I then added all of the highlights and the stripes on the Skeletons jacket and pants with a white paint pen. To finish I attached everything to my layout base. To create the treat bag, I just used a treat bag image from the Cricut library. Next I sized a square mat to fit inside the treat bag. 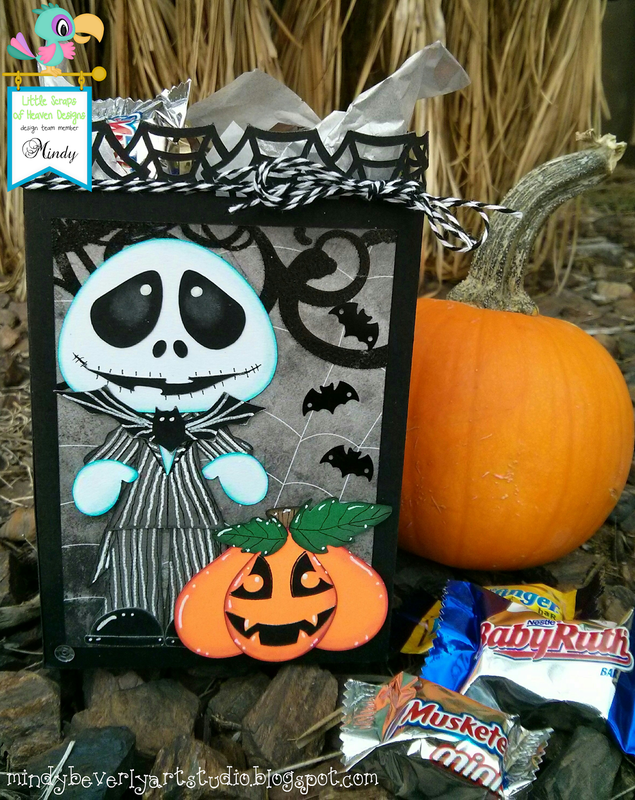 After that I sized the uploaded Skeleton and Pumpkin images to fit my treat bag perfectly. Once I was happy with my design, I cut out all of the pattern pieces in plain and patterned card stock. Next I inked and chalked all of the paper edges to add dimension and shape. I then assembled everything and attached it to my treat bag. To finish I added all of the details with a white paint pen and black micron pen. Good Afternoon Everyone! 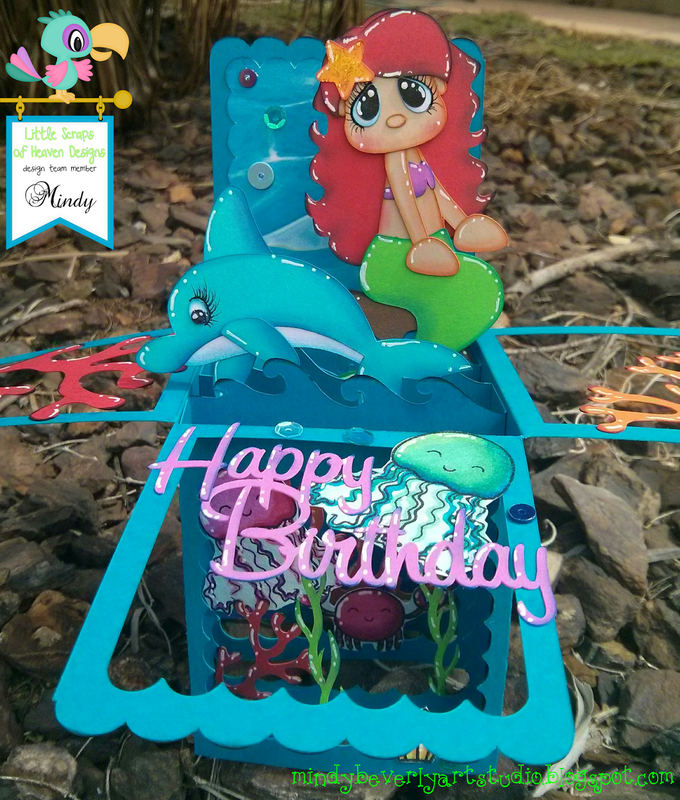 Today I want to share with you a Mermaid Box Card that I made! The Mermaid pattern is from Little Scraps Of Heaven Designs and the sea weed and coral are from the Cricut Image Library. 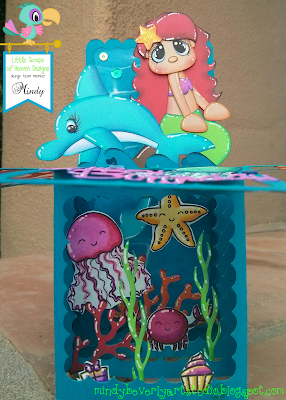 All of the little sea creatures and Birthday accessories I used are stamps from Craftin Desert Diva's. I used the following stamp collections: Sweet Wishes, Crabby, Wanna Hug, and Wish Upon a Star. I also used Mermaid Lagoon Sequins from Craftin Desert Diva's. 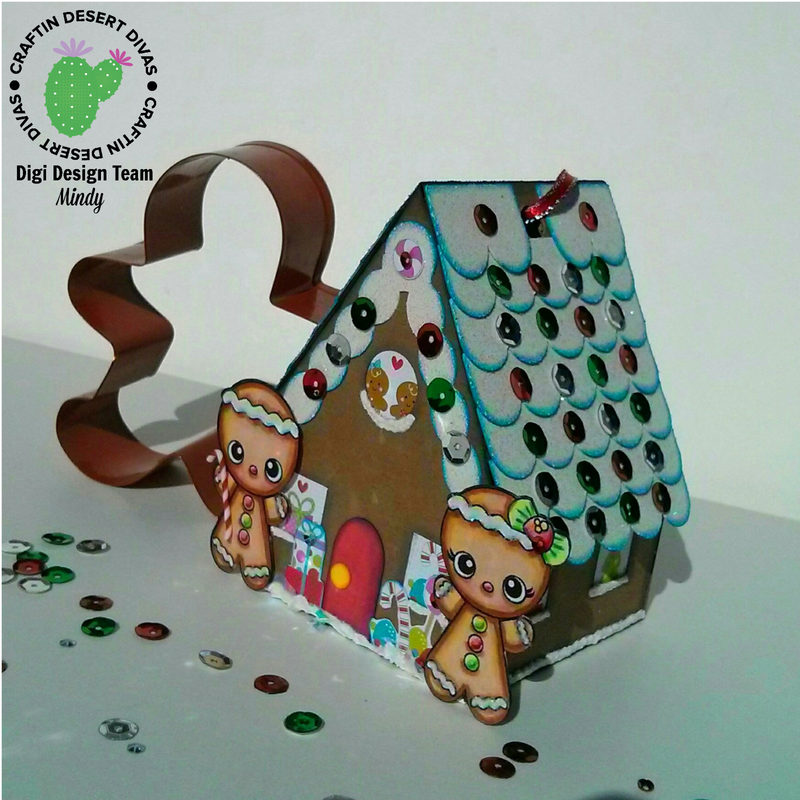 I created this project for the Craftin Desert Diva's Linky Party that you can find on their blog here! The theme for this weeks party is Just For Kids! 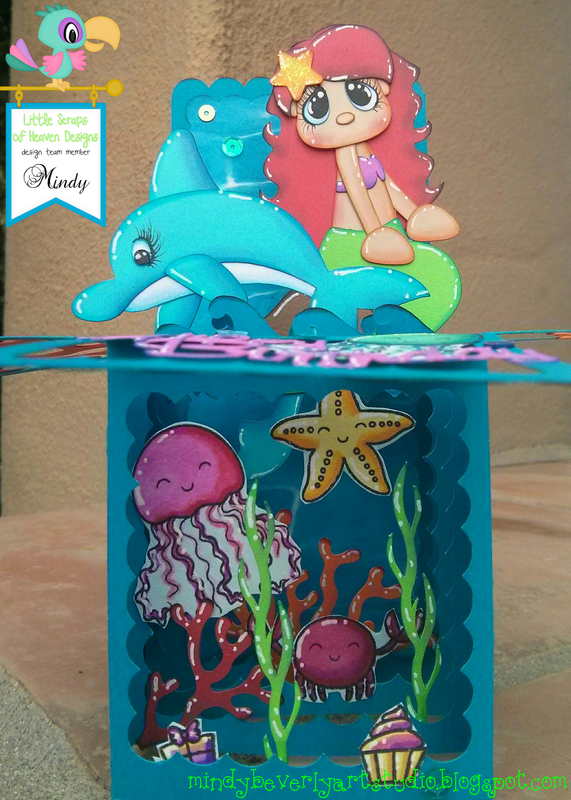 I thought this Mermaid card would be just perfect for it!